Flexer® Epoxy Flexibilizer Product Information | Smooth-On, Inc.
Read and follow directions given on the technical bulletin for the EpoxAcast® or EpoxAmite® product before adding Flexer®. Store and use all materials at 73°F / 23°C. Avoid breathing fumes - use in a well ventilated area at minimum. NIOSH approved respirator is recommended. Wear safety glasses, long sleeves and rubber gloves to minimize skin contact. 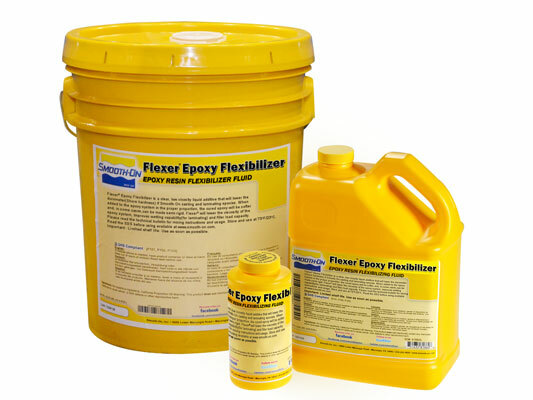 Flexer® Epoxy Flexibilizer is added by weight as a percentage of Part A. An accurate gram scale is required. Add Flexibilizer to Part A of the epoxy system and mix thoroughly. Add the appropriate amount of Part B and mix all components thoroughly. Important: Working time and cure time will be increased in proportion to the amount of Flexibilizer added. 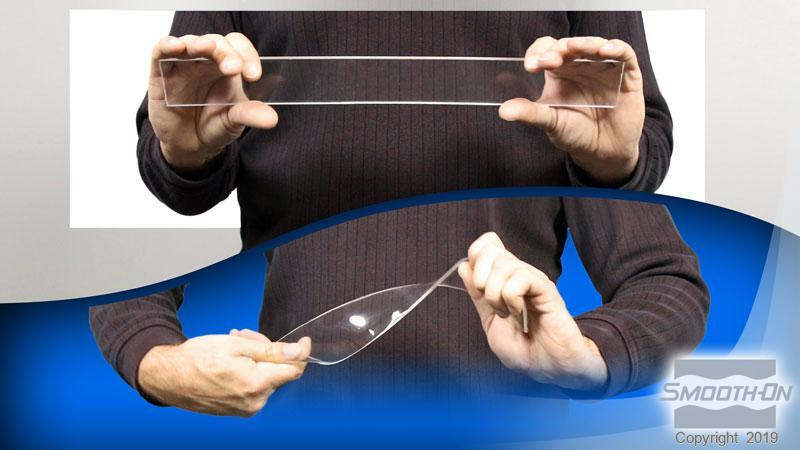 Physical and performance properties (including Shore hardness) of cured epoxy system may be lower in proportion to the amount of Flexer® added. Do not exceed recommended loading maximum of 20% of epoxy Part A, as the epoxy system may not cure. *Cured EpoxAcast® 690 will remain tacky (sticky to the touch) for 48 hours or more depending on casting mass and thickness.